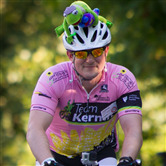 I first decided to volunteer for this ride after seeing one of my friends, Dov Wisnia (32), die of brain cancer in November 2012. 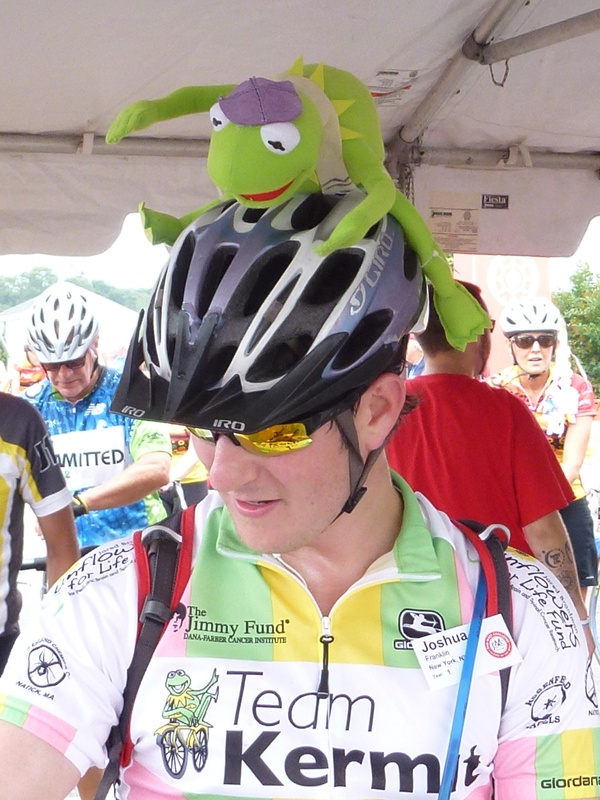 In his memory, I joined Team Kermit, a team which supports pediatric brain and spinal cancer research. In the past few years, I have officiated funerals for friends and family who have lost the fight to cancer. Fred Sander (78), Stephanie's uncle who passed after a fight with Lymphoma. Lee Kaufman, our friend Jaime's father, who died of pancreatic cancer. Still, others have survived and continue the fight. My grandmother Rita Franklin was diagnosed with ovarian cancer in the 1960s and was one of the first recipients of chemotherapy. Because it was still a new method of treatment in that era, the chemotherapy killed her before the cancer could. About fifty years later, major advances in medicine thanks to cancer research have drastically improved the success of this medical technology. Had she received treatment today, she likely would have lived. I want to help make the world a cancer-free place for my daughter Lilah, and for the generations to come. The Jewish sages teach that we are not required to finish the work, but nor are we free to desist from doing it. I take this teaching along with me in the hope that my ride will be a part of achieving larger goals in research and treatment.